While I was in London, I had the good fortune to catch the René Gruau exhibition at the Somerset House. If you are able to make it there before it closes, you must go! Gruau was a renowned fashion illustrator who was a creative collaborator and close friend of Christian Dior. 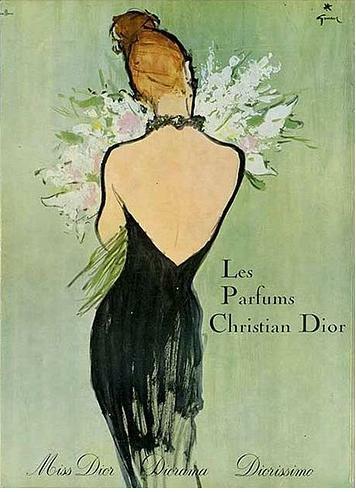 Gruau’s campaigns for the Dior perfumes are among his most notable work as an artist. Gruau’s style was modern, elegant and frequently a bit mischievous. His haute couture illustrations for the pages of magazines like Marie Claire, Vogue and Harper’s Bazaar changed the way that fashion designers and their designs were publicized. Today’s fashion editorials owe a deep debt to illustrators like Gruau. Unfortunately photography was forbidden inside, but the Somerset House has posted a brief film about the exhibition, which is the first showing of Gruau’s work in London. 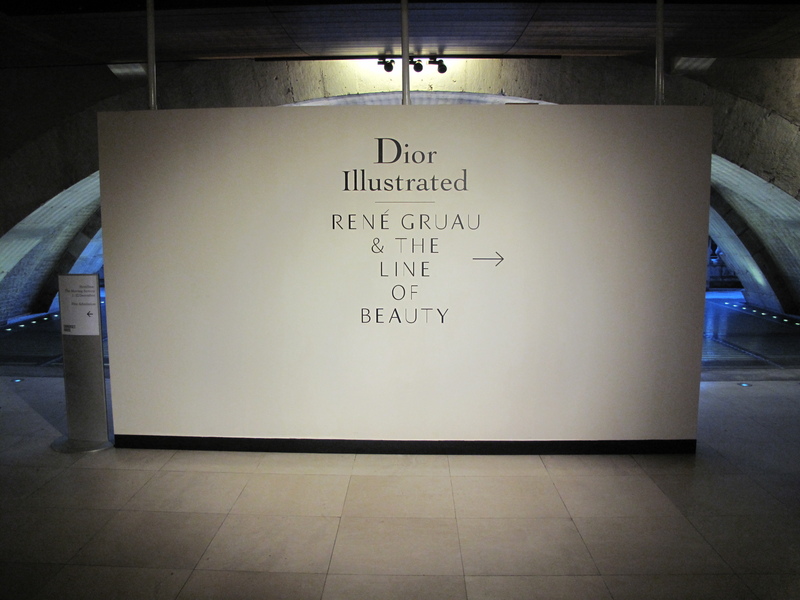 You are currently reading Dior Illustrated: René Gruau and the Line of Beauty at Quite Continental.